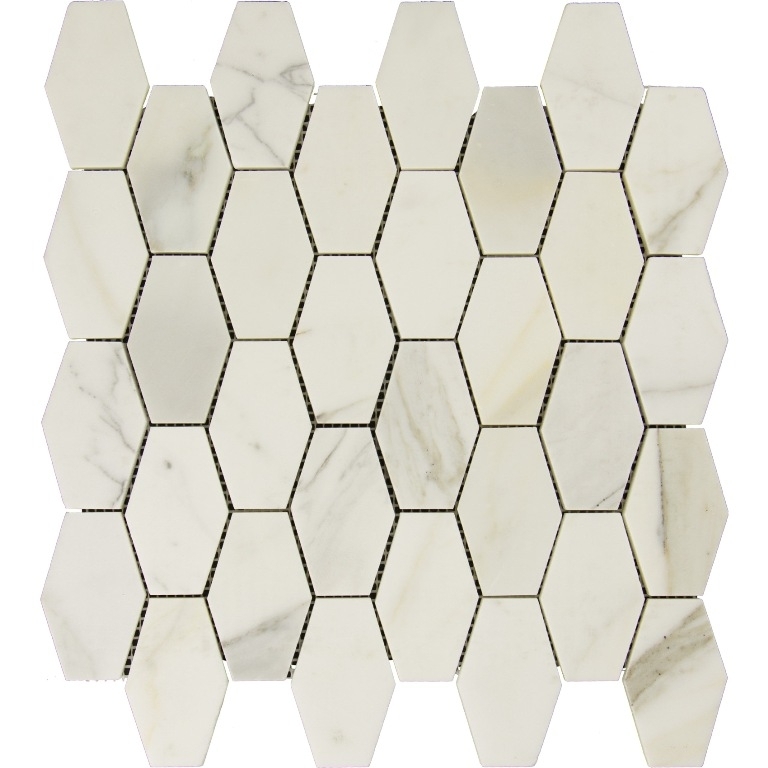 Calacatta Gold 2x3" Hexagon Mosaic Tile. SOLD BY BOX OF 10 TILES = 10 SQ FT.
Calacatta Gold 2X3" Elongated Hexagon Marble on a 12x12 sheet is a beautiful mosaic of whites and grays inherent in Italian marble. It is a natural stone marble that illustrates classical romance. This tile features elegant white tones with a splash of grey and streaks of gold. The mosaic has 2x3 in. hexagon chips mounted on a 12 in. x 12 in. mesh sheet. Install this tile to incorporate a distinctive, contemporary aesthetic enhancement into kitchens, bathrooms and a wide variety of commercial and residential projects. It is recommended for usage on floors and walls in interior residential projects.